Split times don’t lie! 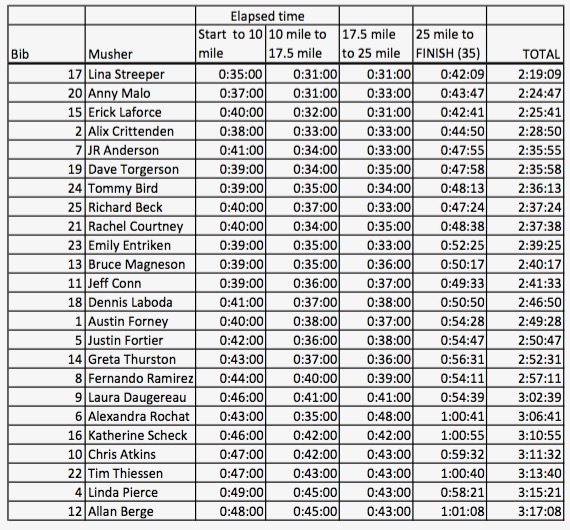 It’s evident where each musher’s strengths and weaknesses were today. Look and see if yesterday’s split times can reflect tomorrow’s performance or if you can find a pattern that either gets you ahead or hurts you a bit. Remember, everyone has an “off” day once in a while and the dogs are no exception.